Training is the most important factor in the development of players. Eagan Wave SC offers high quality training to players at all levels. Our goal is to provide the Best Training, Best Development, and Best Experience to players all year around! Elite Feet is a player driven training environment that challenges athletes to develop everyday and reach their full potential. These camps are suitable for the soccer player who is hungry to improve their skills and take their game to the next level. Become your very best in a fun and positive environment! MORE TRAINING OPTIONS FOR 2019! Session III will consist of Next Level training which is ideal for all players. Come join us and sharpen your skills before hitting the outdoor fields in May! Next Level Training is suited for the soccer player who is hungry to improve their technical ability and creativity on the field. The players will learn the correct way to pass, receive, juggle, strike, and dribble. 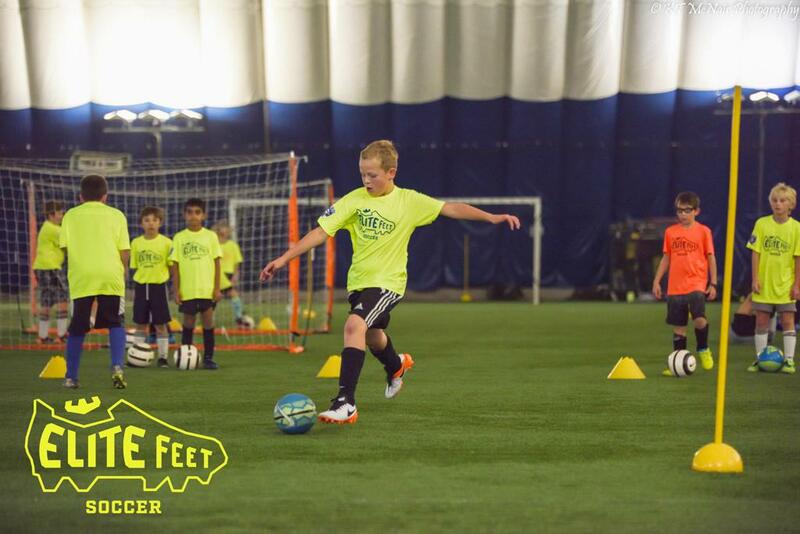 Each week players will compete in small sided games and learn to implement new skills into their game. Your player will receive 1,000 touches at the field each session and develop confidence with the ball at their feet. All players will be given an Elite Feet dry-fit shirt and prizes will be awarded to Champions of the Day! All players must complete an online registration and be paid in full prior to camp. Payments can be made by Visa, Mastercard, Discover or American Express. Please do not send your player to camp without registering. Timely registrations allow for EWSC to plan for trainers and dome space. A late fee of $20 will be charged after February 25th. Please register your player before then. Registration fees are non-refundable after March 5, 2019 except for extenuating circumstances such as player injury, illness or household move from the community. NO refunds or reschedules due to weather cancellations. All refund request must be made via email to Shari Lenz at doc@eagansoccer.org and Jess Kottke at admin@eagansoccer.org.